These delicious little cheddar cheese cubes make the perfect addition to any snack or appetizer tray. They are also great as an addition as a side dish to breakfast, lunch, or dinner entrees. Requiring a small amount of hands-on prep, and then marinating overnight in the refrigerator, they are extremely simple to make. Make them to have with a family meal or as an appetizer when entertaining a crowd, and then share the recipe with your friends and family members on Facebook, Pinterest, Instagram, and Twitter. 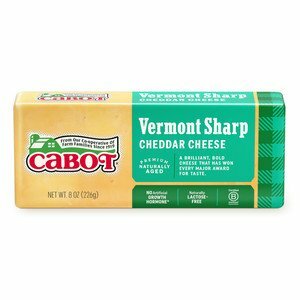 For 16 1-ounce servings, combine all of the ingredients listed below, except for the cubed cheddar and olive oil, in a medium size mixing bowl and whisk until well blended. Slowly add in the oil, whisking until emulsified. 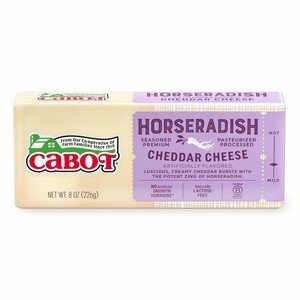 Then add in the cubed Cabot Sharp Cheddar (or Cabot Horseradish Cheddar) and gently stir and toss to cover all the cheddar cheese cubes with the marinade. Cover and let set overnight in the refrigerator. 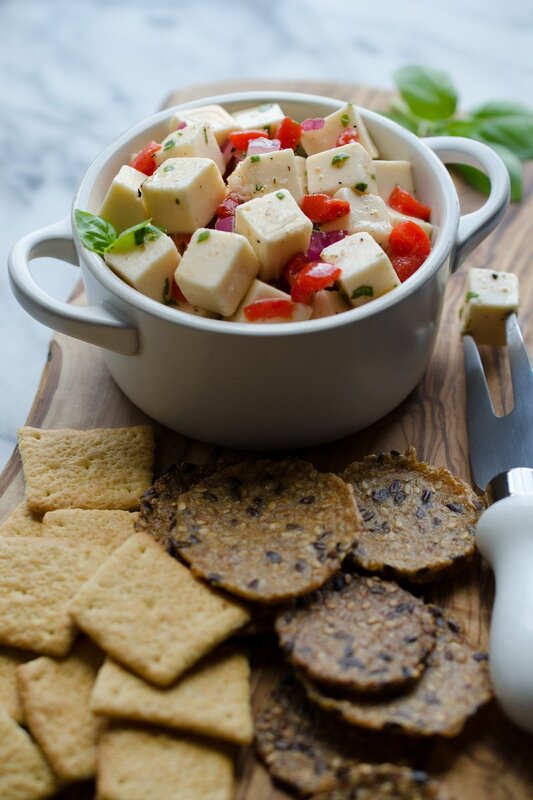 When ready to serve, place the marinated cheddar cheese cubes in a bowl. Serve with crackers or sliced baguette. For another delicious appetizer that uses cheddar cheese, our Fresh Berry Bruschetta is a winner for both its simplicity in preparation and the divine flavor the combination of sharp cheddar, blackberries, and honey brings. 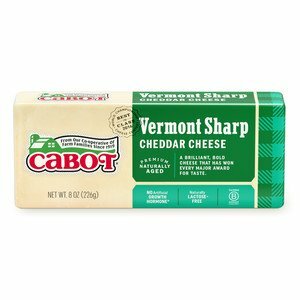 Cabot has relied on our farm families to make the highest quality dairy products in the world for over 100 years. Our commitment to quality is what makes our products stand out from the rest - and why you’ll love our recipes. We’d love for you to rate and review these marinated cheddar cubes once you’ve made them! COMBINE all of the ingredients, except for the cubed cheddar and oil, in a medium size mixing bowl and whisk until well blended. Slowly add the oil and whisk until it is emulsified. ADD the cubed cheddar and gently stir and toss so that all the cubes are covered with the marinade. COVER the bowl and let set overnight, if possible, in the refrigerator. PLACE the marinated cheddar in a small bowl when ready to serve and serve with table crackers or sliced baguette. Recipe courtesy of Jimmy Kennedy. Photo courtesy of Caroline Hurley.